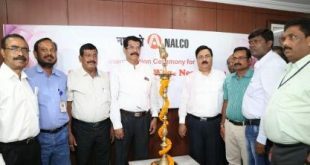 New Delhi: NTPC Limited and NALCO on Friday signed a memorandum of understanding (MoU) for setting up of a Joint Venture (JV) company to establish a 2400 MW coal based power project at Gajmara in Odisha’s Dhenkanal. The MoU was signed in presence of Petroleum minister Dharmendra Pradhan and Energy minister Piyush Goyal. 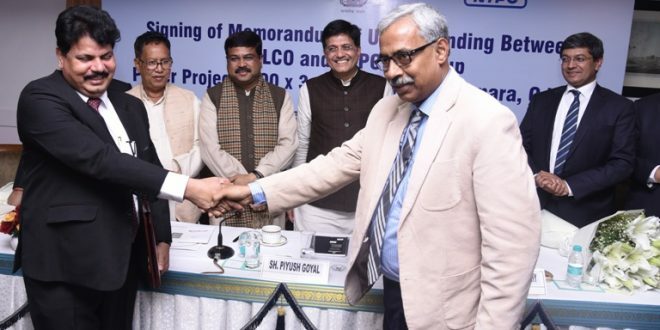 Goyal informed that the generated power will be taken by the NALCO as a JV partner for the Brownfield expansion of its 5 lakh ton Aluminium smelter at Angul and the Greenfield project of a 6 lakh ton smelter at Kamakhya Nagar, Odisha. The estimated investment in all these projects will be approximately Rs. 36,000 crores. Further, Goyal noted that this JV is a unique win-win project for both the companies. In a situation of India being Coal surplus and power prices coming down, NTPC would be able to provide uninterrupted power supply to NALCO’s plants through this project. 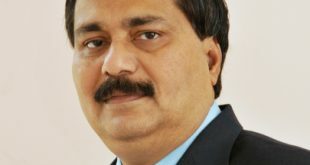 On the other hand, NALCO would be able to produce Aluminium in the country, which previously was not possible due to high power prices, he said. 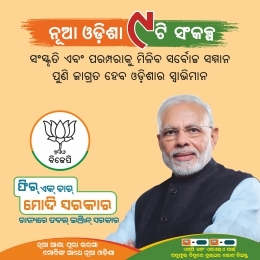 “We have brought back Aluminium smelter plant to the people of Odisha, which was going to be established outside the country due to lack of cheap power in the country a couple of years back. This would not only give a boost employment generation in the region but also give a fillip to the economy of the country as a whole”, Goyal said. Speaking about the sensitivity of Ministry of Power towards environment conservation, Goyal said that the Ministry has taken cognizance about the pollution being caused by thermal power plants in the region and NTPC has accorded in-principle approval to modernize all power plants older than 25 years, in the next 5 years, by replacing them with energy efficient supercritical power plants. Hence the people of Dhenkanal will experience an improvement in the Quality of Life in the times to come, he added. Congratulating the Ministry of Power for executing the long pending project, Dharmendra Pradhan said that after the establishment of this power plant, this less developed region of Odisha would experience the fruits of its own mineral wealth being used for the all-round development of its own people, which was not the case so far. 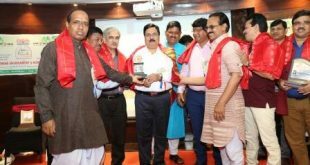 The 2400 MW power plant at Dhenkanal and the increased Aluminium production at Angul and Kamakhya Nagar would fuel industrial growth, in a sustainable manner, that would transform the face of the region in near future, he added. The JV between NTPC and NALCO has potential to create value for both the companies which have public equity – both Government of India equity as well as publicly held equity. Both the companies will initiate the efforts on fast track and necessary modalities like the Joint Venture Agreement, Power Purchase Agreement etc. will be finalized by the end of the current financial year. Other dignitaries present at the MoU signing ceremony were Tathagata Satpathy, MP Lok Sabha from Dhenkanal constituency, Prafulla Kumar Malik, Minister for Steel and Mines, Government of Odisha, Gurdeep Singh, CMD, NTPC, Dr. T. K. Chand, CMD, NALCO and other senior officials of the Ministries of Power and Mines.